In a surprise move, the BJP on Tuesday fielded party's youth wing leader Tejaswi Surya from its bastion of Bangalore South from where the widow of union minister Ananth Kumar, a six-time MP from this prestigious Lok Sabha constituency, was denied the ticket. Ending the suspense with just hours left for the deadline for filing of nominations for the first phase of polls in Karnataka, the BJP central leadership announced past midnight last night the name of 28-year-old Surya, a lawyer and a member of the party's national social media campaign team. Surya, also the general secretary of Bharatiya Janata Yuva Morcha (BJYM), the youth wing of the BJP, is from the RSS stable. It was widely expected that the BJP would field Tejaswini given her active participation in scripting her husband's victories from the seat six times, but Surya emerged as the dark horse. Surya filed his nomination papers Tuesday. The Karnataka BJP had proposed only Tejaswini's name, according to state unit BJP president B S Yeddyurappa. Tejaswini was also confident about fighting the poll on BJP ticket and had been preparing for it and had started a door-to-door campaign. She said the party decision came as a shock to her and all of her supporters but maintained that it is very important to show that the BJP was a party with a difference. "OMG OMG!!! I can't believe this. PM of world's largest democracy & President of largest political party have reposed faith in a 28 yr old guy to represent them in a constituency as prestigious as B'lore South. This can happen only in my BJP," Surya tweeted, reacting to the announcement. "Tejaswini ji has given her blessings". Surya Tuesday filed his nominations amid an undercurrent of disappointment among followers of Ananth Kumar over denial of the ticket to Tejaswini. He was accompanied only by one BJP MLA Uday Garudachar and Rajya Sabha member Rajeev Chandrasekhar during filing of nominations, with other lawmakers from Bangalore South conspicuous by their absence. "We had sent only one name. It was changed in Delhi," said Yeddyurappa. State senior BJP leader R Ashoka said, "The only name our Karnataka core committee sent to the high command was of Tejaswini Ananth Kumar but the central leaders denied her a ticket. I don't know why they changed our decision." Ashok, however, added, "Yeddyurappa, myself and the party workers will abide by the decision and work for our victory. Bengaluru has several leaders. Bengaluru is our bastion," Ashoka said, seeking to downplay the absence of party MLAs. As the name surfaced in the eleventh hour, Surya called on Tejaswini and sought her blessings. However, he was greeted with sloganeering by the supporters of Ananth Kumar, who protested against denial of ticket to his wife. The reason behind projecting Surya, said BJP sources, was to build a second line of young and talented leaders who can lead the party. Counted for his oratorical skills, Surya was involved in strengthening the party base in the city as well as in coastal Karnataka, especially around Mangaluru and Udupi, the BJP strongholds. The party apparently plumped for Surya who is from the RSS stable. Besides being a part of the BJP social media campaign team, he heads the the party's state IT cell. A BJP veteran, Ananth Kumar, who died last year after battling cancer, represented Bangalore South for six terms and had defeated IT czar Nandan Nilekani in the 2014 polls. It's Tejaswi and not Tejaswini!" the Twitterati reacted, as the BJP central leadership sprang a surprise for the Bangalore South seat. Following the denial of ticket to Tejaswini, her loyalists made a bee-line to her house. A group of her supporters shouted slogans, saying she should have been given the ticket. Tejaswini,however, insisted that she remained loyal to party and she accepted their decision to ensure 'NaMo Again'. "I urge all the BJP karyakartas, friends and well wishers who are anxious and upset & still visiting our house in large numbers, time to show we are a party with a difference. We are all committed to tread the path of ideology. And work for #NamoAgain2019," she said in a tweet. Later talking to reporters here, she said there can be some sense of dissatisfaction because things did not happen according to one's beliefs. "It is but natural. But above all is the decision of the party...I have been telling my party workers, whatever the party has decided will remain binding on me. Nation first, party next and my interests come last," she added. Tejaswini, an aerospace engineer, runs an NGO Adamya Chetana in memory of her mother-in-law Girija Shastry, a staunch RSS loyalist, who was active in politics as the member of Bharatiya Jan Sangh, the earlier avatar of BJP. Active in public life through the NGO, Tejaswini had worked as a scientist at Aeronautical Development Agency (ADA) between 1993-1997 and also on the Light Combat Aircraft (LCA - Tejas) project. During her student days, she was very active in Akhil Bharatiya Vidyarthi Parishad (ABVP), and has also served as its state Joint Secretary and the National executive member. Highly politically conscious Bangalore South has remained an anti-Congress pocket since 1977, barring once when former late chief minister and a Congress stalwart R Gundu Rao won the 1989 polls. Bangalore South has eight assembly segments, with BJP holding five and Congress three after the 2018 assembly polls in Karnataka. True to its cosmopolitan nature, the constituency has considerable share of Brahmin, Vokkaliga and Muslim voters and a mix of upper and middle class voters. 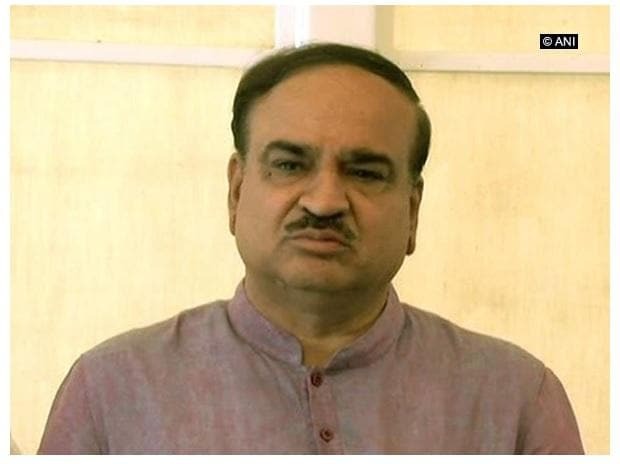 The constituency was under the hold of the erstwhile Janata Party after the 1977, 1980 and 1984 general elections and from 1991-2014 in successive parliamentary polls the BJP has maintained its grip, mostly with Ananth Kumar, who first got elected to the Lok Sabha in 1996.